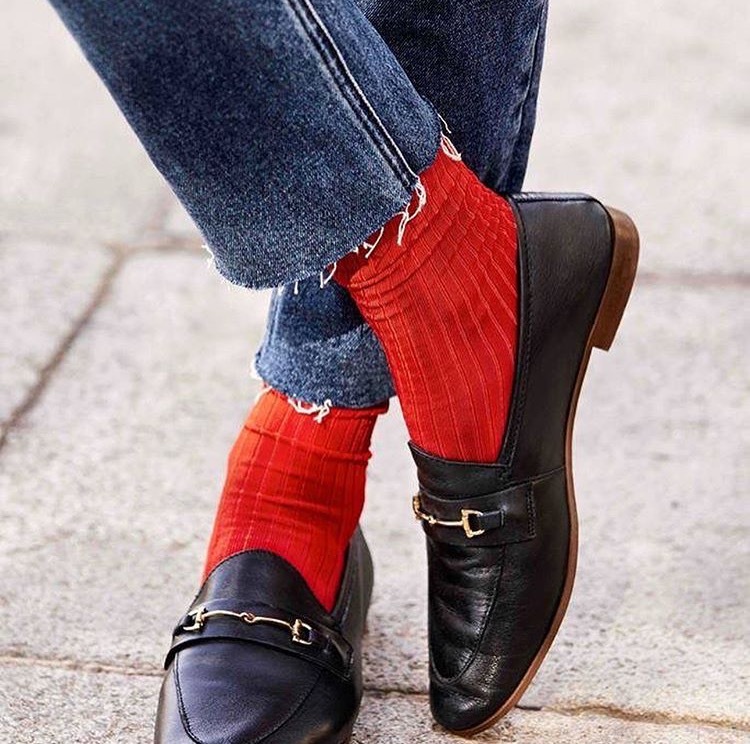 You may have noticed while scrolling through your Facebook, Twitter, Instagram, and other social media pages, or even walking down the street, that socks have taken on some new styles and looks. They’re colorful, patterned, embroidered and they have glitters. 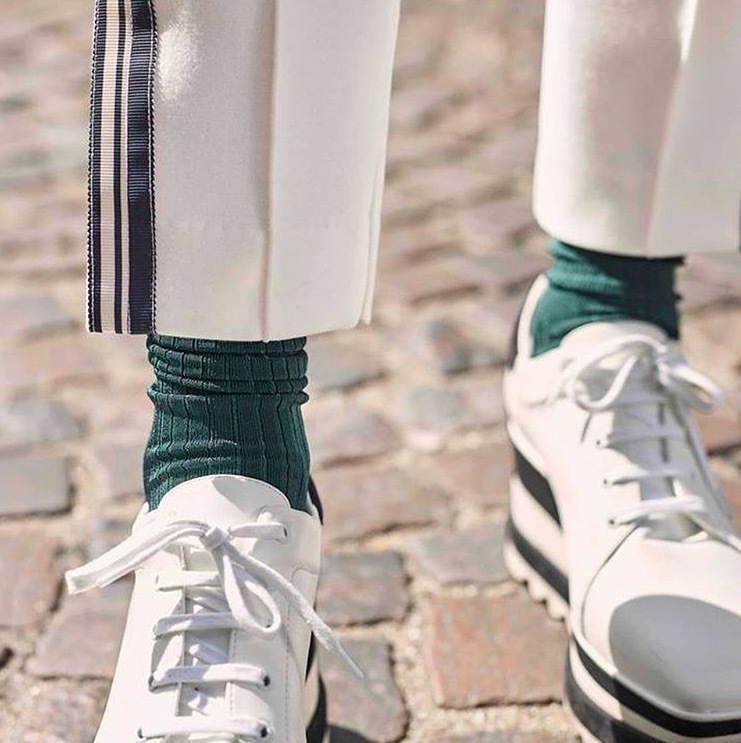 Socks popularity is growing so much so that even some long-standing fashion faux-pas, like wearing socks with sandals, are starting to change. Just when you thought the socks and sandals trend was finally winding down, has thrust it back into the spotlight. Luxury designers embraced novelty hosiery for this season, adding graphic prints onto socks. 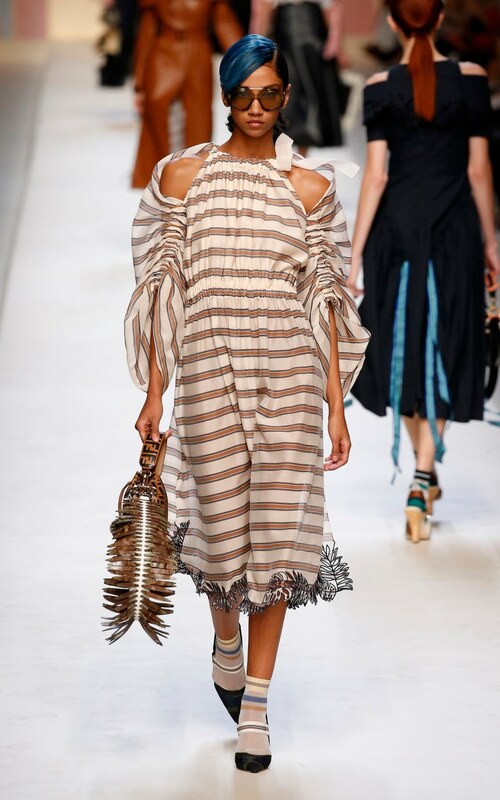 At Bottega Veneta, Prada, Fendi played with patterns and brought us a very feminine young woman. Socks are everywhere and they’ve always wanted, so you also can embrace sock trend this season ! !